The Mbekweni Group started an initiative to teach children how to grow a vegetable garden. 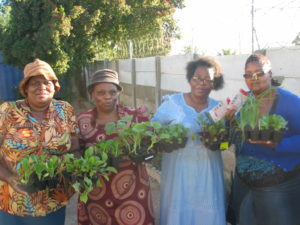 An area of land was identified at their local church and with the assistance of Donors, various seedlings were planted. Unfortunately vandals destroyed the area and seedlings. Efforts are being made to obtain more seedlings.